Stretching is an essential part of successful golf. A good stretching routine can help to minimize muscle imbalances, prevent injury, improve your exercise tolerance and your golf performance. 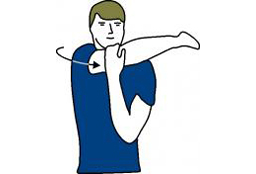 The following stretching program is designed for golfers who do not have any current injuries or individual stretching needs. If you have an injury, or a specific mechanical imbalance that may be holding back your golf performance, your Physical Therapist at Purposed Physical Therapy can design a stretching program just for you. Your Physical Therapist can also teach you to train your abdominal muscles to provide the right balance of stability, flexibility, and power for your golf swing, helping you to golf better and keep your lower back healthy. When your muscles are warm and relaxed! 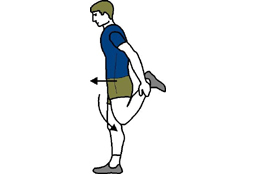 Stretching after your warm-up helps to improve your game and prevent injuries while stretching after your round or practice session assists your overall recovery. You can even stretch between holes if there is a particular area that you feel needs more stretching or you are stuck waiting for a hole and your muscles cool down or feel like they are stiffening up. Don't forget to arrive at the golf course well in advance of your scheduled round to allow yourself adequate time to warm up and stretch. Many people forget that golf, like any other sport, can be straining on the body, so they don’t factor in warm-up time like they would for other sports. 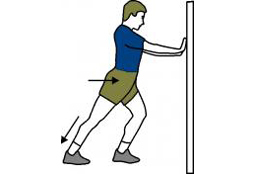 For optimum performance you should stretch after you have done a general body warm up of about 5-10 minutes (brisk walking is the easiest activity to do on the golf course.) 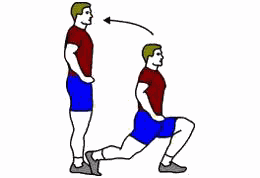 The pre-round stretching program below will take about 15 minutes to complete. This time also doubles as mental preparation time for your game. 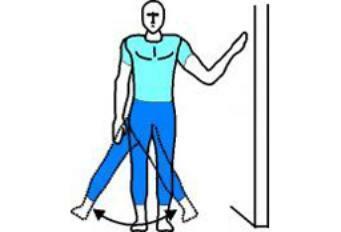 Golf is a dynamic sport so you'll need to do both dynamic and static stretching. 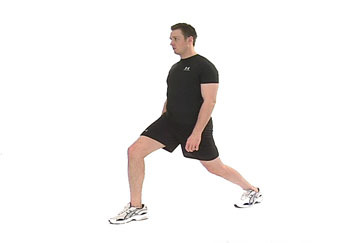 Dynamic stretches form part of your pre-round warm-up or may be used during the round itself. 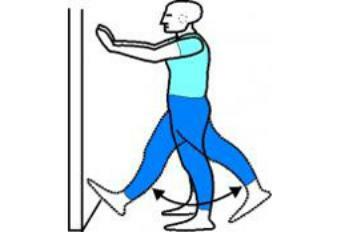 They are used to prepare your muscles for the rapid elongation they will incur as you golf. 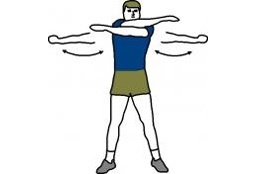 Static stretches, on the other hand, are more useful to improve your overall flexibility and are most effectively done at the end of your golf round as part of your cool down. Driving range practice should be part of your overall warm up routine but should be completed closer to when you are going to begin your game, once you have finished your brisk warm up and dynamic stretching routine. These muscles are your prime movers for golf. You'll need to stretch these muscles each time you play. Don't forget to stretch both sides.